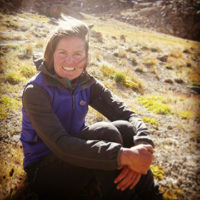 Rebecca Coles is an International Mountain Leader, Mountaineering Instructor and writer. She has lead expeditions, travelled and had many an adventure in over 75 countries and on all 7 continents. 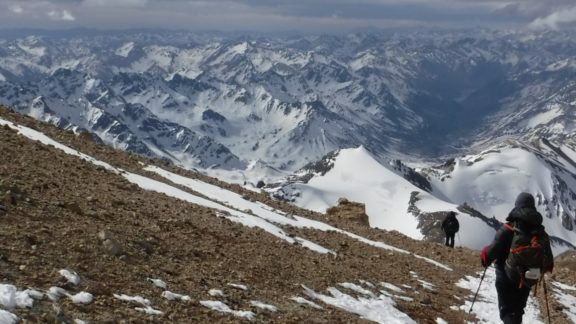 Recent trips have focused on Central Asia (the 'Stans), the Himalayas and the European Alps. Articles about her expeditions have been published in Sidetracked Magazine, Trek and Mountain Magazine, Adventure Travel Magazine and UKClimbing. Work takes her not only around the world but also around the UK. She is based in Sheffield or North Wales most of the year, and the West Coast of Scotland for several months every winter. When on the road she travels in Valerie, her trusty camper van. Rebecca has a PhD in Glacial Geomorphology and is a Fellow of the Royal Geographical Society.